When I woke up this morning, I knew I had to say something. Every year on the anniversary, I relive that day. I can remember every detail as if it was yesterday. Sometimes when you have memories like that, you cannot help but talk about it. As I was debating with myself on if I should post something on my site, or just save it for my own personal social media, a tiny voice in my head kept saying, “this is your history…own it”. 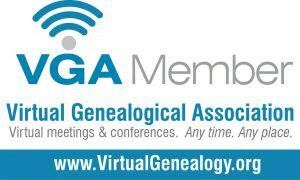 It is funny how as genealogists we become so focused on the past as it pertains to our ancestors, that we forget about our own history. We are so wrapped up in the names, dates, and brick walls of our research that we fail to take stock of our own history. Our lives are so busy that it is hard to take the time to reflect and record all the things we have been through. So today, take the time to write down your history. I am not suggesting you do it all in one sitting, but get a journal and start writing. Some things will be difficult to write about while others will bring a smile to your face. The important thing to remember is that someday, someone is going to want to know about you. They are going to want to know more than just the dates on vital records or a picture found in an old box. Just like you crave to know your ancestors, someone will crave to know you. With that said, I would love to share where I was and what I experienced on that 11th day of September 17 years ago. I was a senior at Middle Tennessee State University (Go Blue Raiders!) and majoring in mass communications. I got up and got ready for class just like every other day. Before I left my room, I jumped on my computer to check my email. My mom called just like she did every morning but this time there was something different in her voice. “Have you seen what’s happening?” she asked. “No,” I replied, “I have the TV on but I haven’t been watching it.” As I slowly came to the realization of what was happening, I remember my whole self going numb. I do not remember much about the rest of the conversation with my mom, but I do remember asking her if I should go to class. At that moment, I just needed something normal. I hung up with her and promised to keep in touch all day. As I walked to class that morning, I remember being in a fog. I arrived to an eerily quiet Mass Comm building. The Mass Comm building was usually bright and full of life, but at that moment, it was the exact opposite. I do not remember what class I had that day, but I remember everything about that classroom. The room was packed full and the professor had the news showing on the giant projection screen. Nobody said a thing although a few people were crying. I did not stay long. Although I was surrounded by people, I had never felt so alone. I left the Mass Comm building and went back to my dorm building. All the sororities had their chapter rooms in that same building, so I went looking for some friendly faces. Luckily, I wasn’t the only one who had that idea. Classes were canceled for the remainder of the day, so I spent most of my time in our chapter room. My fellow sisters came and went throughout the day. Sometimes we would sit in silence while other times we tried to figure out just what was happening. The only thing we all agreed on was that none of this seemed real. The following week went by in a haze. I was a Resident Assistant in the freshman dorm, so a lot of my time was checking on my residents. The campus remained pretty quiet the rest of the week. Students seemed to be just focused on getting to class. There were no planes in the sky, not even the smaller ones that aerospace students used. I’m not sure when things got back to the new “normal”. Eventually we all got back up, gave a helping hand where we could, and continued on with our lives. What I do know, is that none of our lives were ever the same.